For such a simple-looking box, decked out with one knob, two buttons and no display beyond a single LED, the TC-Helicon Ditto Mic Looper is a very sophisticated piece of kit. Designed specifically for looping vocals or miked instruments, the pedal has an integral mic preamp with phantom power, while compliance with TC’s Mic Control protocol allows looping functions to be controlled directly from the switch on a compatible microphone. Conversion is 24-bit and power comes from an included universal mains 12V DC power adaptor. The mic-level analogue inputs and outputs are both via balanced XLR connectors and there’s also a micro-USB connector for firmware updates. It’s worth pointing out that the hardware is also very robust, with a metal case, confidence-inspiring switches and a nice, grippy rubber base. An automatic mic-gain function means there’s no need to set up gain trims manually. Operationally, the paradigm couldn’t be easier: press the Loop switch to record, then press again to replay the loop. You hold it down to undo or redo the last overdub, and the knob sets the level at which loops are played back. The Loop-switch actions can also be configured by the user to be Record, Play, Overdub (the default mode) or Record, Overdub, Play. The maximum loop storage time is five minutes, and your loop is recorded and stored when the unit is powered off. Switching modes is done using a ‘power up while holding buttons down’ sequence. Stop is used to start and stop playback, or you can hold it down to both stop playback and perform a silent erase (erasing takes three seconds). As loop recording is essentially a sound-on-sound process, you can build up as many layers as you want. The LED colour shows whether you are recording (red) or playing back (green). Having the option to undo the last take is very useful, and has the potential to be used as a performance tool as well as a corrective one. 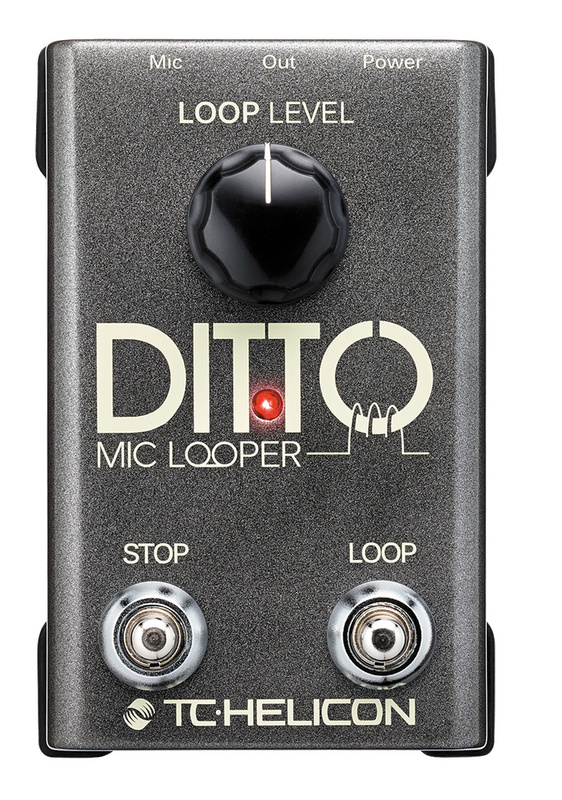 The Ditto Mic Looper is a breeze to use and, aside from its obvious human-beatbox applications, can be used to loop anything you can pick up via a mic. And if that’s too limiting, you can always use a DI box if you want to capture a line-level or instrument source. The audio sounds clean, even when you’ve added multiple layers, and there’s no audible glitching as the loop comes around. The auto level setting also works very nicely in maintaining a healthy level while avoiding clipping, so you really can just plug and play. 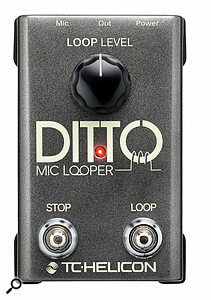 While there are more sophisticated loopers on the market, I like the way the Ditto Mic Looper sticks to the essentials — you’re so much less likely to get into a mess when using it!